24 LARGE Microfiber cleaning Cloth Towels Rag Car Polishing Detailing NoScratch (#142405635795). Sheeting is advertised in "cut sizes", not finished sizes, therefore will vary. About a decade ago, we decided there was a need for change in the market. (OUR BLEACH SAFE TOWELS WEIGH A STANDARD 3# PER DOZEN. BLACK BLEACH SAFEHAND TOWELS. Georgia Towels GRAND OPENING SALE! THROUGH Georgia Towels?. 8 DOZEN) LOT OF NEW. Think about the mill these towels are made in, and the amount of excess fibers and particulates in the air alone. SALON BASICS COLLECTION. 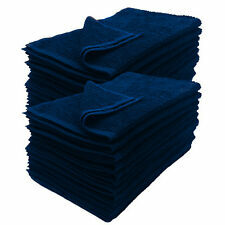 BLUE SALON BASICS HAND TOWELS. OUR TOWELS WEIGH A STANDARD 3LBS PER DOZEN. Sheeting is advertised in "cut sizes", not finished sizes, therefore will vary. About a decade ago, we decided there was a need for change in the market. OUR BLEACH SAFE TOWELS WEIGH A STANDARD 3# PER DOZEN. 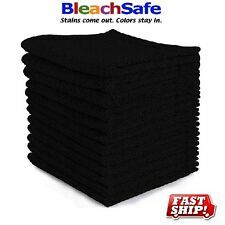 BLACK BLEACH SAFEHAND TOWELS. Georgia Towels GRAND OPENING SALE! THROUGH Georgia Towels?. Think about the mill these towels are made in, and the amount of excess fibers and particulates in the air alone. 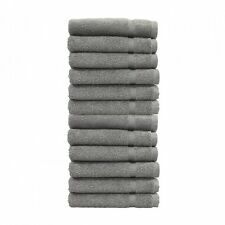 LOT OF NEW GREY SALON QUALITY HAND TOWELS. Georgia Towels GRAND OPENING SALE! THESE GREAT HAND TOWELS FEATURE A POPULAR DESIGN AND TUCKED SELVAGES WITH ASSURED CONSISTENCY THROUGHOUT. THROUGH Georgia Towels?. OUR BLEACH SAFE TOWELS WEIGH A STANDARD 3# PER DOZEN. BLACK BLEACH SAFE HAND TOWELS. Georgia Towels GRAND OPENING SALE! THROUGH Georgia Towels?. 6 DOZEN OF NEW. Think about the mill these towels are made in, and the amount of excess fibers and particulates in the air alone. OUR BLEACH SAFE TOWELS WEIGH A STANDARD 3# PER DOZEN. 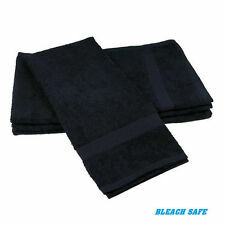 BLACK BLEACH SAFEHAND TOWELS. Georgia Towels GRAND OPENING SALE! THROUGH Georgia Towels?. 60pc (5 DOZEN) LOTOF NEW. Think about the mill these towels are made in, and the amount of excess fibers and particulates in the air alone. Georgia Towels GRAND OPENING SALE! THESE TOWELS WILL LAST 2X LONGER THAN COMPETITORS AND ARE MUCH SOFTER. THESE HAND TOWELS FEATURE A SINGLE CAM BORDER THIN AND LIGHTWEIGHT. THROUGH Georgia Towels?. BLUE SALON BASICS HAND TOWELS. SALON BASICS COLLECTION. OUR TOWELS WEIGH A STANDARD 3LBS PER DOZEN. Georgia Towels GRAND OPENING SALE! THROUGH Georgia Towels?. About a decade ago, we decided there was a need for change in the market. THESE GREAT HAND TOWELS FEATURE A POPULAR SINGLE CAM DOBBY BORDER DECORATIVE DESIGN AND TUCKED SELVAGES WITH ASSURED CONSISTENCY THROUGHOUT. THROUGH Georgia Towels ?. About a decade ago, we decided there was a need for change in the market. Georgia Towels GRAND OPENING SALE! THESE GREAT HAND TOWELS FEATURE A POPULAR DESIGN AND TUCKED SELVAGES WITH ASSURED CONSISTENCY THROUGHOUT. THROUGH Georgia Towels?. About a decade ago, we decided there was a need for change in the market. Georgia Towels GRAND OPENING SALE! THROUGH Georgia Towels?. THESE GREAT HAND TOWELS FEATURE A POPULAR DESIGN AND TUCKED SELVAGES WITH ASSURED CONSISTENCY THROUGHOUT. About a decade ago, we decided there was a need for change in the market. BLACK BLEACH SAFE HAND TOWELS. BLEACH GUARD SALON COLLECTION. OUR BLEACH SAFE TOWELS WEIGH A STANDARD 3# PER DOZEN. Georgia Towels GRAND OPENING SALE! THROUGH Georgia Towels?. Think about the mill these towels are made in, and the amount of excess fibers and particulates in the air alone. Trending at C $26.19eBay determines this price through a machine-learned model of the product's sale prices within the last 90 days. THESE GREAT HAND TOWELS FEATURE A POPULAR SINGLE CAM DOBBY BORDER DECORATIVE DESIGN AND TUCKED SELVAGES WITH ASSURED CONSISTENCY THROUGHOUT. Think about the mill these towels are made in, and the amount of excess fibers and particulates in the air alone. THESE GREAT HAND TOWELS FEATURE A POPULAR SINGLE CAM BORDER DECORATIVE DESIGN AND TUCKED SELVAGES. THROUGH Georgia Towels ?. About a decade ago, we decided there was a need for change in the market. We have deeply embedded roots in the textile industry in the US. 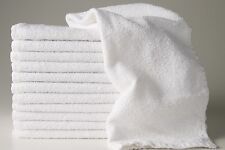 POLY COTTON BLEND TOWELS ARE SOFTER AND LAST 3X LONGER THAN STANDARD COTTON TOWELS. Georgia Towels GRAND OPENING SALE! THESE TOWELS WILL LAST 2X LONGER THAN COMPETITORS AND ARE MUCH SOFTER. THESE HAND TOWELS FEATURE A SINGLE CAM BORDER. BLACK BLEACH SAFE HAND TOWELS. OUR BLEACH SAFE TOWELS WEIGH A STANDARD 3# PER DOZEN. Georgia Towels GRAND OPENING SALE! THROUGH Georgia Towels?. Think about the mill these towels are made in, and the amount of excess fibers and particulates in the air alone. OUR BLEACH SAFE TOWELS WEIGH A STANDARD 3# PER DOZEN. BLACK BLEACH SAFE HAND TOWELS. Georgia Towels GRAND OPENING SALE! THROUGH Georgia Towels?. Think about the mill these towels are made in, and the amount of excess fibers and particulates in the air alone. BLACK SALON BASICS HAND TOWELS. HAIR CUTTING TOWELS COLLECTION. Georgia Towels GRAND OPENING SALE! OUR TOWELS WEIGH A STANDARD 2.5LBS PER DOZEN. THROUGH Georgia Towels?. Think about the mill these towels are made in, and the amount of excess fibers and particulates in the air alone. THESE GREAT HAND TOWELS FEATURE A POPULAR SINGLE CAM BORDER DECORATIVE DESIGN AND TUCKED SELVAGES WITH ASSURED CONSISTENCY THROUGHOUT. THROUGH Georgia Towels ?. About a decade ago, we decided there was a need for change in the market. OUR BLEACH SAFE TOWELS WEIGH A STANDARD 3# PER DOZEN. BLACK BLEACH SAFE HAND TOWELS. BLEACH GUARD SALON COLLECTION. Georgia Towels GRAND OPENING SALE! THROUGH Georgia Towels?. Think about the mill these towels are made in, and the amount of excess fibers and particulates in the air alone. GYM HAND TOWELS. BLUE SALON BASICS HAND TOWELS. OUR TOWELS WEIGH A STANDARD 3LBS PER DOZEN. SALON BASICS COLLECTION. Georgia Towels GRAND OPENING SALE! THROUGH Georgia Towels?. About a decade ago, we decided there was a need for change in the market. COTTON TOWELS ARE SOFTER AND LAST 3X LONGER THAN COMPETITORS TOWELS. Georgia Towels GRAND OPENING SALE! THESE HAND TOWELS FEATURE A DOUBLE CAM BORDER. THESE GREAT HAND TOWELS FEATURE A POPULAR SINGLE CAM BORDER DECORATIVE DESIGN AND TUCKED SELVAGES WITH ASSURED CONSISTENCY THROUGHOUT. LOT OF NEW BRIGHT WHITE, SALON QUALITY HAND TOWELS. Georgia Towels GRAND OPENING SALE! THESE TOWELS WILL LAST 2X LONGER THAN COMPETITORS AND ARE MUCH SOFTER VERY THIN AND LIGHT WEIGHT. THROUGH Georgia Towels?. THEY'RE MADE OF AN 86/14% COTTON POLLY BLENDED UNDER WEAVE FOR STRENGTH. Georgia Towels GRAND OPENING SALE! THROUGH Georgia Towels?. About a decade ago, we decided there was a need for change in the market. OUR BLEACH SAFE TOWELS WEIGH A STANDARD 3# PER DOZEN. BLACK BLEACH SAFEHAND TOWELS. Georgia Towels GRAND OPENING SALE! THROUGH Georgia Towels?. BLEACH SAFE & CHEMICAL FRIENDLY ! About a decade ago, we decided there was a need for change in the market. 120 NEW WHITE 16X27 COTTON BLEND TERRY HAND TOWELS. FACTS: POLY COTTON BLEND TOWELS ACTUALLY HAVE A 100% COTTON FACING AND A STRONG POLYESTER UNDER WEAVE THAT STRENGTHENS THE TOWELS, THIS BLEND MAKES THE TOWELS MORE ABSORBENT AND LAST 2X LONGER THAN STANDARD COTTON TOWELS. Georgia Towels GRAND OPENING SALE! THESE TOWELS WILL LAST 2X LONGER THAN COMPETITORS AND ARE MUCH SOFTER. THESE HAND TOWELS FEATURE A SINGLE CAM BORDER. THROUGH Georgia Towels?. About a decade ago, we decided there was a need for change in the market. 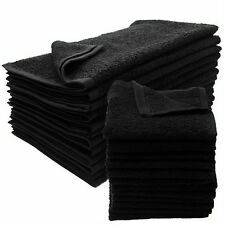 BLACK SALON BASICS HAND TOWELS. HAIR CUTTING TOWELS COLLECTION. Georgia Towels GRAND OPENING SALE! OUR TOWELS WEIGH A STANDARD 3LBS PER DOZEN. THROUGH Georgia Towels?. Think about the mill these towels are made in, and the amount of excess fibers and particulates in the air alone.